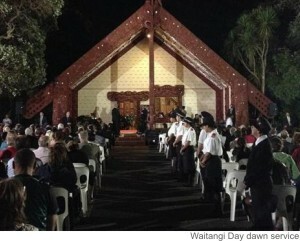 Waitangi Day was an opportunity to reflect on our past and our future. There was a time when we were predominantly a nation of just two cultures – Maori and European. Nowadays New Zealand is a nation of peoples from all over the globe – Maori, European, Asian, Pacifica, Australian, American, African… The commonality between us all is that we call New Zealand our home. We like to think we are a nation of equals – but there are many who seek to divide us by race. Just look at the fiasco last week over a teenage girls’ basketball team that was barred from competing in the National Maori Basketball Tournament because their coach wasn’t ‘Maori’. At least that is how the story was first reported. After the team, which won the under 15s last year, had already registered for the under 17s division, the coach was told that he had to be Maori to enter. If he wasn’t to be ruled out, he needed to supply his “whakapapa to an iwi” or “state tribal links”. In the face of a storm of outrage, the organisers denied that they had changed the rules, instead claiming that it was the players who had to state their tribal links. They said the Maori tournament was for iwi and hapu-based teams, and players not linked to an iwi or hapu could apply individually and be placed into teams. The coach’s desire to keep the girls together in their winning combination was “not the whanaungatanga of Maori basketball”. Defining people by race has always been dangerous. The atrocities of the Nazi extermination programme during World War Two should leave no-one in any doubt about that. In the US, the development and deployment of the atomic bomb during World War Two resulted in a Congress authorisation to the Department of Energy to analyse human genes in order to identify, among other things, any genetic mutations that might have been caused by radiation. The early studies led to the realisation that the best way to examine such effects was to map out the entire human genome in order to obtain a reference sequence. This eventually led to the Human Genome Project, a thirteen year international effort, launched in 1990 and costing more than US$30 billion, to discover the complete set of human genes and their DNA sequence. With no scientific foundation for defining people by ‘race’, but a recognition of the destructive societal consequences of racial profiling, many countries are now moving towards the elimination of the concept from their constitutional arrangements. Austria has rejected the idea of separate races, as have Finland and Hungary. Similar moves are being considered in both France and Germany. In Fiji, all laws and conventions based on race – including separate electoral rolls and reserved seats in Parliament – have been abolished. In Sweden, the government regards race as a “social construct which should not be encouraged in law”. As a result a high level review has been launched to investigate how to remove all mentions of race from legislation. It is expected to be completed by December. The problem in New Zealand is finding politicians prepared to stand up against the powerful vested interests that have captured the concept of race for their own advantage, since it wields considerable political force and has become an extremely lucrative money-making proposition. The concept nearly died a natural death in the mid-seventies when, as a result of the rapid rate of intermarriage in this country, the number of legally defined ‘Maori’ with 50 percent or more of Maori blood, was in serious decline. This led to demands for a change in the legal definition and, as a result, the 1974 Maori Affairs Amendment Act replaced the blood quantum classification with one based on self-identification and ethnic affiliation – in other words, having a Maori descendent. This clever political manoeuvre guaranteed an on-going rise in the number of people categorised as ‘Maori’, thereby fulfilling the tribal leaders’ ambitions for increasing power and resources. Over the years, the Maori rights movement has also successfully persuaded successive governments to allocate increasing levels of funding to race-based initiatives – all in the name of reducing so-called ‘Maori’ disadvantage. The problem is that such programmes are based on a false premise – it is not being Maori that causes disadvantage, instead, it is such things as a lack of education, long term welfare dependency, sole parenthood, violence and criminality, substance abuse, or living in an area where there are no jobs. Many New Zealanders are becoming increasingly alarmed about the long-term impact of the government’s continued promotion of ‘race’ within our society. It is being used by corporate iwi as a ruse to progress their increasingly radical demands – as witnessed at Waitangi when iwi leaders expressed anger at the Prime Minister for rejecting Maori claims for the control of New Zealand’s water and the right to charge for it. During the annual meeting between the Cabinet and the Iwi Chairs’ Forum at Waitangi, the issue of water rights was top of the agenda. Iwi leaders want the Government to agree on concrete proposals for Maori water rights within a year, but Prime Minister John Key has said two years is more realistic. If they get the rights to water, iwi leaders have said they want to make money off it – but the Prime Minister is ruling out iwi being able to charge: “They won’t be able to do anything different to any other New Zealander”. The NZCPR looked into that Supreme Court ruling over water rights last year in Re-writing History, with a Guest Commentary, Maori water rights a recent Supreme Court decision, by Judge Anthony Willy. In contrast to National’s attempts to contain iwi demands and dampen down expectations, the new leader of the Labour Party, Andrew Little, appeared to have turned his back on former leader Helen Clark’s successful strategy of taking a hard line against iwi greed, by calling for more discussion on the sovereignty activists’ demands for self-governance and self-rule. He said the government should not dismiss the Waitangi Tribunal’s claim that Maori did not cede sovereignty: “There are models around the world where indigenous peoples have a level of authority over some issues and some territories they control, so I think let’s not try to be dismissive of it”. The Prime Minister has called Labour’s plan “divisive”. Over the last few weeks, another of the Maori sovereignty movement’s new converts, Gareth Morgan, has also been divisive. He has been ridiculously controversial, presumably in order to sell his new book. Having now ‘found’ the Treaty of Waitangi, he no longer appears to regard Maori as equal citizens to everyone else, but as a racial elite – ‘partners’ with the Crown. He wants the Treaty entrenched in a new constitution, an Upper House of Parliament established with half the members Maori, and the Maori language to be compulsory in primary schools. While on the one hand he pushes radical Maori rights, on the other, he claims to be against Maori privilege and would like to see the Maori seats and race-based funding abolished. Mr Morgan’s bizarre crusade saw him turn up at the venue of former National Party leader Don Brash’s infamous “Nationhood” speech. As part of a publicity stunt to get on television, Dr Brash was asked to attend – to face the insults and then respond. I invited Don Brash, the former Leader of the National Party, to share his thoughts on the occasion as this week’s Guest Commentator. In his article, Why I disagree with Gareth Morgan, Dr Brash makes the point that since he rejects Dr Morgan’s starting point, that Maori are partners with the Crown, he disagrees with most of his conclusions! “Dr Morgan talked about Maori having a partnership with the Crown, making us, in his words, ‘one nation, two peoples’. I also think this is nonsense, Lord Cooke notwithstanding. The idea that Governor Hobson envisaged the British Crown – the representation of the most advanced country in the world at the time – forming a partnership with a disparate group of Maori chiefs who were, at that time, scarcely out of the Stone Age, is ludicrous. On many occasions during his book tour, Gareth Morgan called ‘Pakeha’ “ignorant”. But he was not alone. Sir Tipene O’Regan, whose father was Irish, used Waitangi Day to do the same, describing ‘pakeha’ as ignorant and calling for a future where Maori culture would play a bigger role. Do you believe the concept of ‘race’ should be removed from all New Zealand’s legislation?